This indicator designed for traders who are working professionally with pitchforks. By using this indicator, we can draw 15 types of new and very professional pitchforks, based on the main pitchfork. 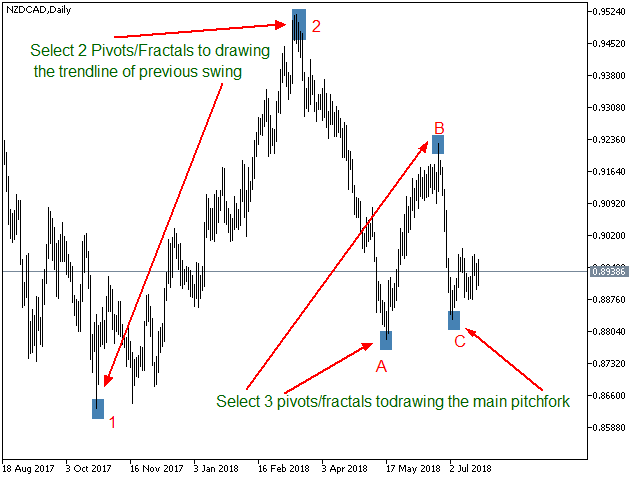 select 3 pivots/fractals for draw the main pitchfork. And draw a pitchfork. This pitchfork called “Main Pitchfork”. 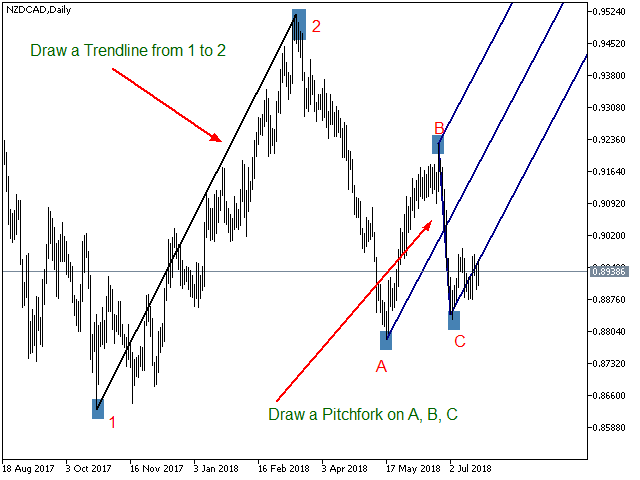 For this purpose, draw a trend-line which can introduce the previous swing. 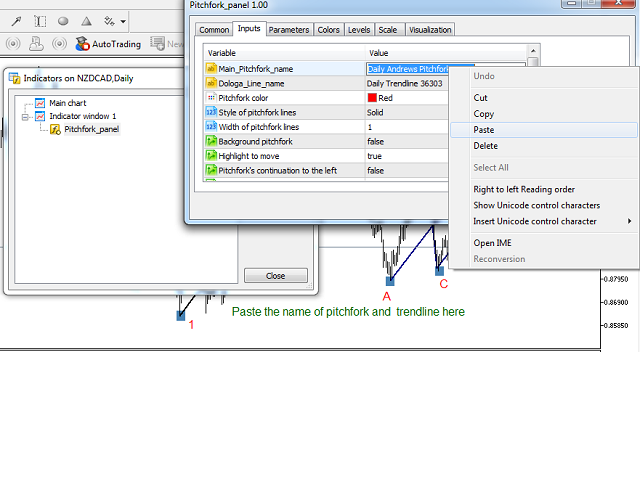 Attach the “Pithcfork_Panel” indicator to the chart. copy the name of main pitchfork from “main pitchfork” properties, and then paste it in “Pithcfork_Panel” indicator properties. 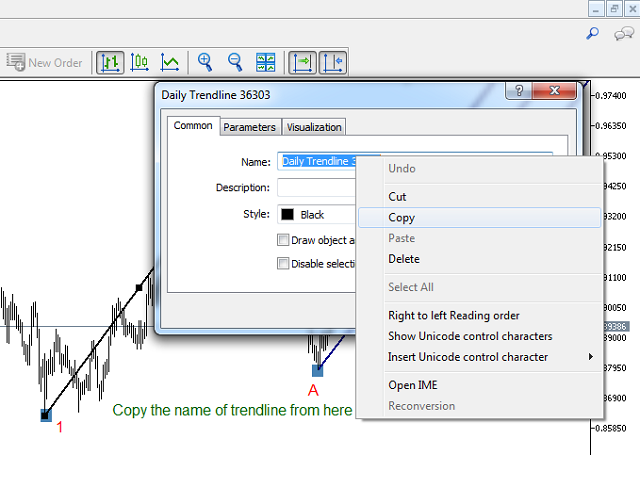 Now, do the same for trend-line, copy the name of trend-line from “trend-line” properties, and then paste it in “Pithcfork_Panel” indicator properties. 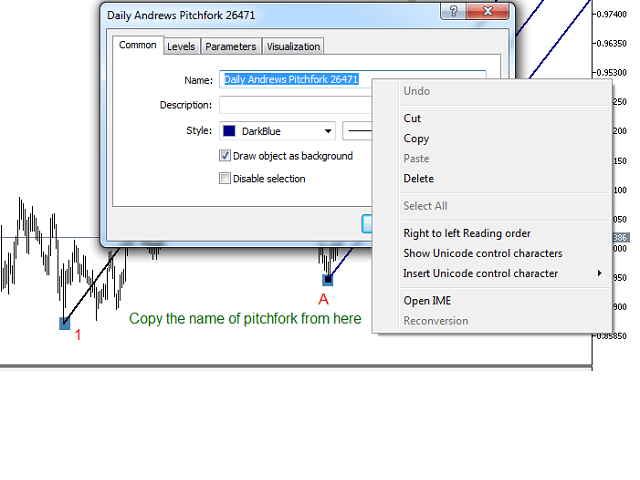 Now, use the menu of “Pithcfork_Panel” indicator, and select any type of pitchfork. 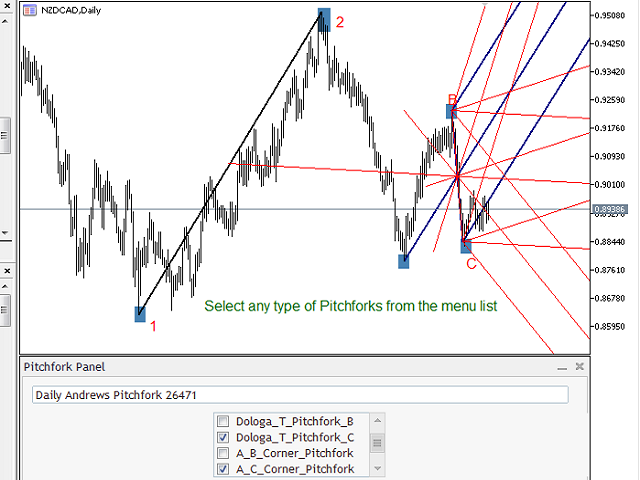 By select each one, the indicator draw a new pitchfork, based on “main pitchfork” and “trend line” properties. select one or more types from menu. 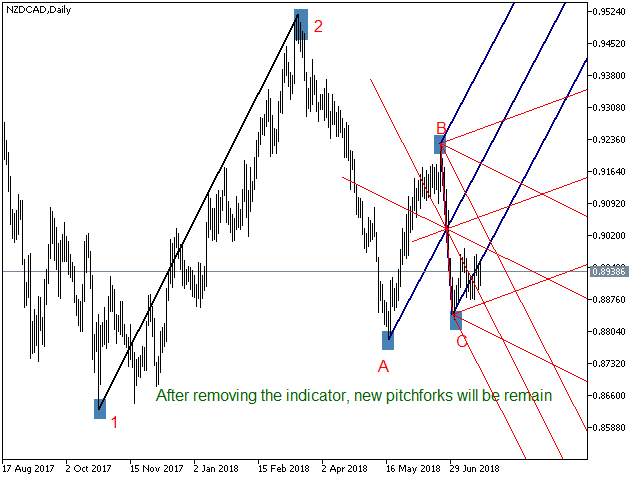 If we select “main pitchfork” or “trend line” and move each point of them, all types of pitchforks will be change. After all, remove the indicator from the chart like this. 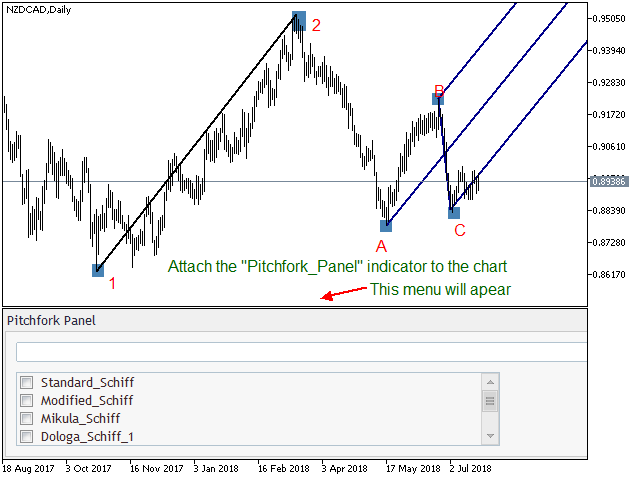 Style of pitchfork lines: Select the color of 15 pitchforks lines. 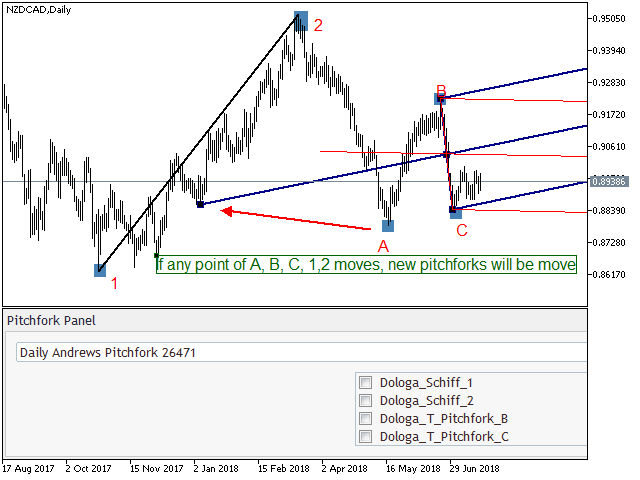 the width of pitchfork lines: Select the with of 15 pitchforks lines. Background pitchfork: Show the Pitchforks as background or not. Pitchfork's continuation to the left: If true, all pitchfork lines ray to Left. Pitchfork's continuation to the right: If true, all pitchfork lines ray to Left. 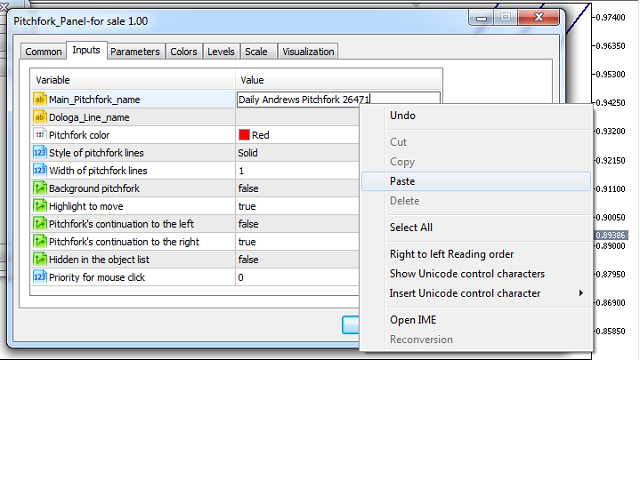 Hidden in the object list: In Object list menu you can`t see these pitchforks. Priority for mouse click: Priority of selection between two or more objects.